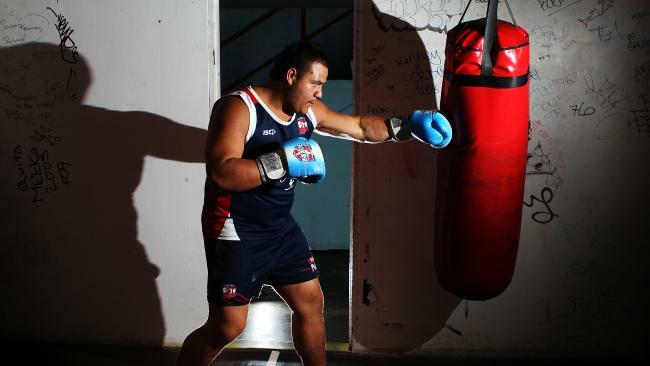 Tai Tuivasa is one of the rising stars of Australian fight sports, defining himself with knockout power across a range of disciplines. He is the current holder of the AFC Heavyweight Championship strap. Tai acquired his desire to fight, along with the skills to do it, in the family home. Tai took his first formal footsteps towards the cage and the ring at the age of seventeen. Predictably, he won by KO. Since that time, he’s engaged in a number of different disciplines: K1, boxing and MMA. He has also had a number of boxing fights, most of them chalked up in the ‘win’ column. Tai has fared better in MMA. He is the current AFC heavyweight champion, having won all ten of his fights. Prior to dedicating himself to fighting full-time, Tai had been a youth worker. Tai is dedicated to his aspirations, having committed himself to life as a full-time fighter. While Tai has a strong natural asset in his hands, he is aware that the rest of his game as an MMA fighter needs to be properly fleshed-out. The blueprint for that style of fighting has already been perfected by fellow Aussie Mark Hunt, who is passing on the skills to Tai through his training camps. Tai also has his sights set on the main stage of the UFC. His plan is simple. When asked for a hint, Tai offers up the name we most want to hear.